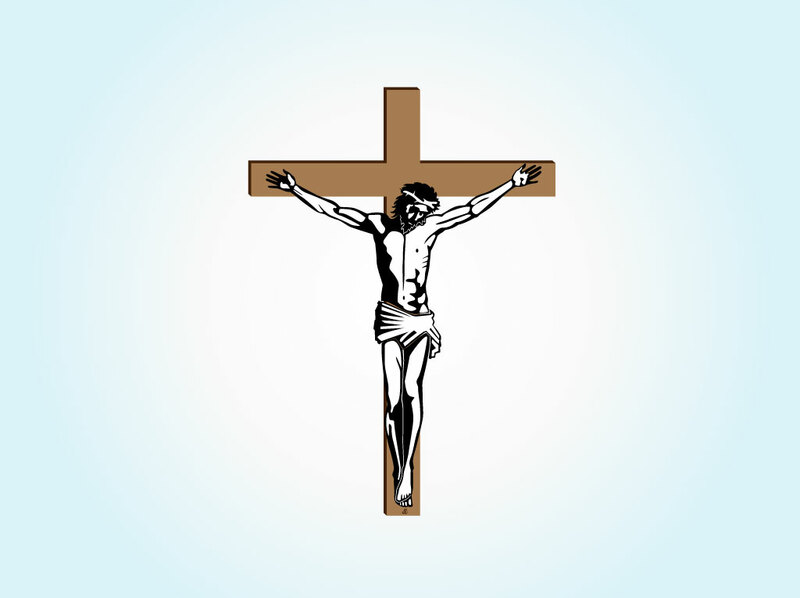 Simple vector art of one of the world's best known images, the crucifixion of Christ. Comes with a light blue gradient background image. Free download for your church newsletters, spiritual themed blogs, Christian living websites and religious desktop wallpapers. Useful image for your Jesus Christ, religion and belief Illustrator stock images collection. Tags: Belief, Cross, Crucifixion, Crucify, Jesus Christ, Religion, Suffering.